Planning a beach vacation can be a lot to handle, especially when you’re trying to remember if you’ve covered all the important bases. 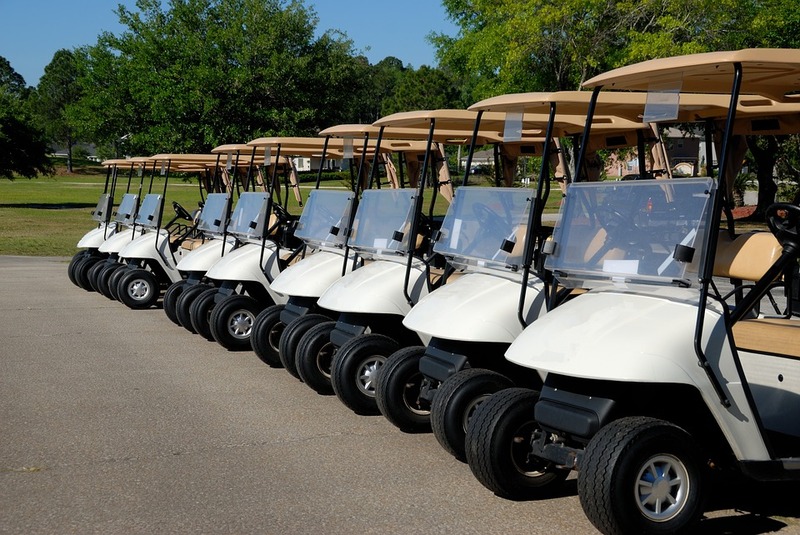 One thing that people often neglect during their planning is the inclusion of a golf cart rental. Of course, once you arrive at the beach, you’ll start to see golf carts almost everywhere, and you’ll wonder why you didn’t consider such an amenity. It may not seem like it, but there are many times when a golf cart at the beach could be a lifesaver. If you’re going to be staying near the beach, but not quite on it directly, having a golf cart can make those treks to the shore much easier. In many cases, there will be paths specifically meant for vehicle beach access, if it’s allowed at that particular beach. You’ll have to check the local rules, but even if you can’t take the cart directly on the beach, you can park it in normal parking lots by the shore. Golf carts are perfect for those times during your beach vacation that you realize you need to run over to the nearest convenience store. Perhaps the store is too close to warrant driving, but too far to be a comfortable walk. That’s when a golf cart is really useful. They can cut down walking time significantly, and they’ll make it easy to zip around if you have multiple stops to make before you head back to your beach rental property. Perhaps you want to take a relaxing tour of the beach and the local area around it, and a golf cart is the best way to do so. You can really enjoy the scenery from inside a golf cart, and you’ll spend less on fuel than you would driving your normal vehicle. Most rental golf carts are electric, but there are high-end carts that are gas-powered. Golf carts are also more agile and nimble than normal vehicles, which makes them ideal for exploring a new area. Even at the beach, you should be prepared for the worst. If there’s some sort of incident on the beach that results in someone’s injury, having a golf cart can mean the difference between life and death. They can be used to quickly transport someone to emergency services, and they work well in traffic because they can zoom through tight spaces with no trouble. One thing you probably know if you’ve ever taken a beach trip in the past is that you’ll have a lot of stuff to carry with you down to the shore. Depending on the number of people with you and the length of your stay on the beach, you’ll probably have chairs, umbrellas, coolers, towel bags, beach toys, and any other things that might make the trip better. Even with a large group of faithful helpers, toting all that can be a huge hassle. However, with a golf cart, you just have to load up the cart and it’ll do all the hard work for you. Perhaps you’ve got family members accompanying you on the trip, like parents or grandparents, and they need a bit of help getting around. A golf cart will solve this problem instantly. These carts are easy to drive, so your older relatives won’t have to resort to walking everywhere they go while on the trip. Parents with young children will have some of the same issues as those with older family members. Young children get antsy and bored easily on long walks, but a ride in a golf cart is a fun, rare experience for many children that will be just as exciting as the beach itself. If your children are too young to help with carrying anything for the trip, a golf cart is almost a necessity. These are just a few of the many reasons one might want the services of a rental golf cart while visiting the beach. Make sure to check for any local rules or restrictions on the usage of golf carts in the area, and you’ll have an excellent new amenity for your trip.